Mathematical modeling is about rulesa the rules of reality. 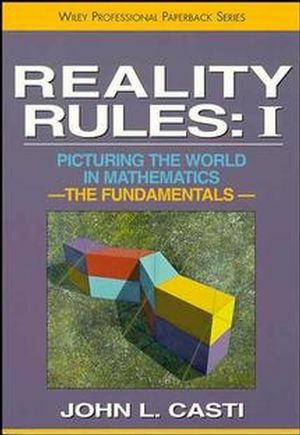 Reality Rules explores the syntax and semantics of the language in which these rules are written, the language of mathematics. 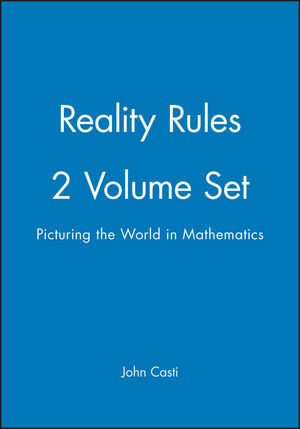 Characterized by the clarity and vision typical of the author's previous books, Reality Rules is a window onto the competing dialects of this languagea in the form of mathematical models of real-world phenomenaa that researchers use today to frame their views of reality. 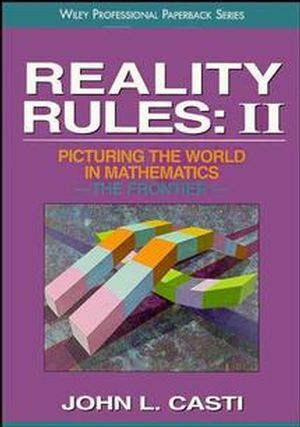 Engagingly written and handsomely illustrated, Reality Rules is a fascinating journey into the conceptual underpinnings of reality itself, one that examines the major themes in dynamical system theory and modeling and the issues related to mathematical models in the broader contexts of science and philosophy. Far-reaching and far-sighted, Reality Rules is destined to shape the insight and work of students, researchers, and scholars in mathematics, science, and the social sciences for generations to come. A thoroughly modern account of the theory and practice of mathematical modeling with a treatment focusing on system-theoretic concepts such as complexity, self-organization, adaptation, bifurcation, resilience, surprise and uncertainty, and the mathematical structures needed to employ these in a formal system. The Ways of Modelmaking: Natural Systems and Formal MathematicalRepresentations. Catastrophes, Dynamics and Life: The Singularities of Ecologicaland Natural Resource Systems. Pattern and the Emergence of Living Forms: Cellular Automata andDiscrete Dynamics. Order in Chaos: Variety and Pattern in the Flow of Fluids,Populations and Money.